Visual Studio Code>Themes>OS X Flat DarkNew to Visual Studio Code? Get it now. Port of the OS X Flat Dark theme for Brackets. 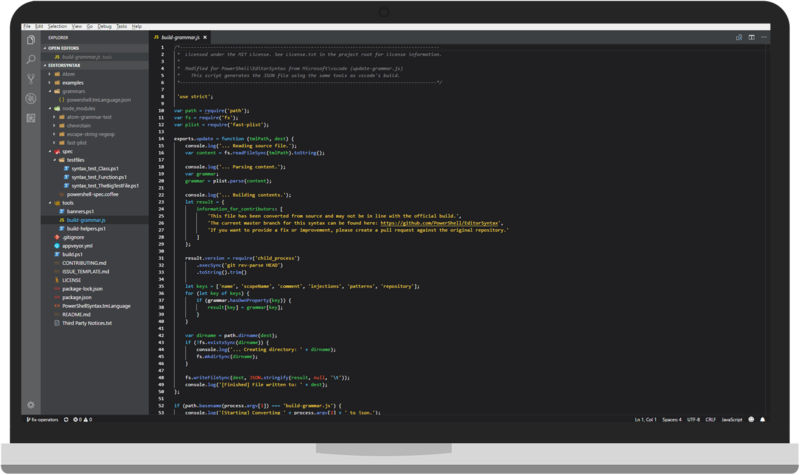 This is a dark and flat theme for VS Code ported from the Brackets.io theme https://github.com/altayaydemir/brackets-osx-flat-dark-theme. Brackets.io themes do not directly translate to the format used by VS Code, if you find syntax highlighting issues please open an issue.